With another Christmas Boat Parade gone by, Southern California coastal cities are celebrating the owners of 2013’s prize winning boats with awards, banquets and prizes. Each year, boaters and waterfront homeowners spend time and money to decorate their vessels and residences with twinkling lights and themed decorations to attract spectators – and parade judge’s – attention to their hard work. 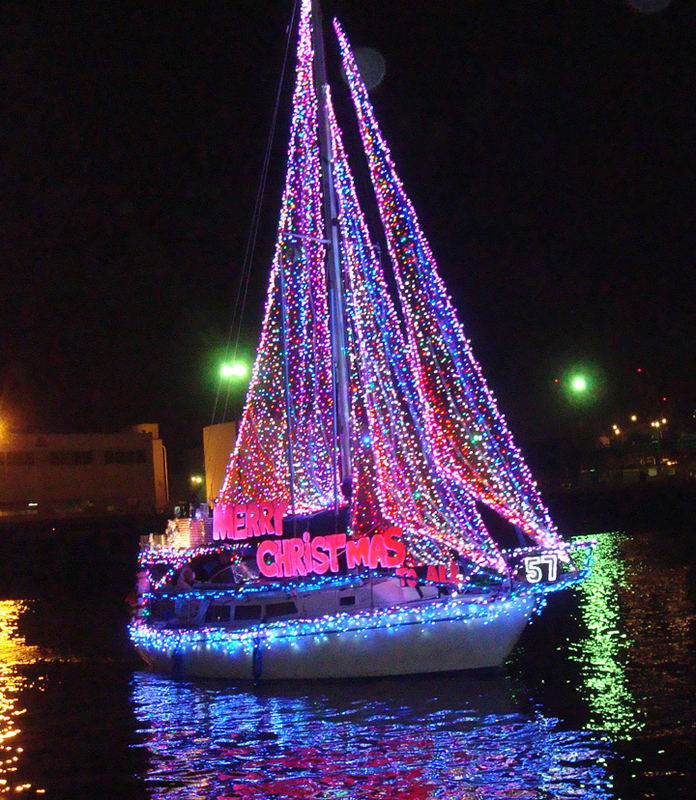 Here is a list of boat parade winners from harbors throughout Southern California. Harbor Grill Dinghy Cup: 1st: Wake For It, Tony VonDwingelo; 2nd: Goin Ta Blazes, DPYC Jrs, Gary MacCleverty; 3rd: Ted Olsen, DWYC Jrs.